Salesforce (s crm) is adapting to the increasingly social face of customer relationship management and it’s plunking down some serious money to do it. 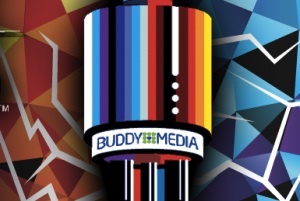 The company is reportedly close to snapping up social media marketing platform Buddy Media for $800 million, according to a report in AllThingsD. The deal hasn’t been finalized, but it would be biggest purchase to date in the social media marketing space. Salesforce bought Radian6 last year for $326 million while Oracle (s orcl) bought Vitrue for $300 million last week. Adobe (s adbe) also bought Efficient Frontier earlier this year. Buddy Media, which helps manage marketing campaigns for companies on social networks such as Facebook (s fb), Twitter, reportedly chose Salesforce over Google(s goog), said AllThingsD. The deal comes down to the fact that CRM is changing beyond its traditional roots of managing the sales process. Now, it’s about handling branding, social media interactions and marketing for customers. That’s where Radian6 and Buddy Media come into play. With these two pick-ups, Salesforce will be in a position to help companies extend their presence on social media and help them find more leads via social data, giving Salesforce more of the services customers are coming to expect these days. It’s actually a smart play for Salesforce and shows that it’s rolling with the changes in CRM. Customers are spending more time on social media and they are also able to gather more social intelligence that they can use to make business decisions. Buddy Media said earlier this month it managed 128 billion impressions in the first quarter of this year, up from 3 billion this time last year. It’s also in keeping with the Salesforce’s deepening focus on social networking tools. The company has been betting big on social with its own enterprise social network Chatter and in December it bought Rypple, a social performance software platform. Salesforce’s new executive vice president John Wookey, who is leading Rypple, told GigaOM that social networking tools are helping companies become more agile and transparent. While Salesforce continues to chase social, it’s still not clear how the Heroku purchase fits into the larger vision of the company. And the company could stand to make a bigger effort in mobile, which is proving to be an achilles heel for many big companies.